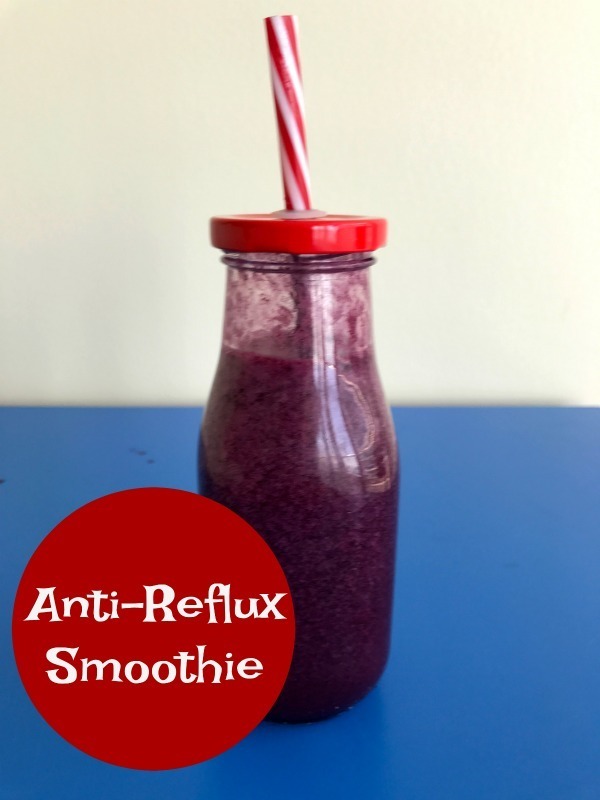 This Anti-Reflux Energizing & Healing Morning Smoothie recipe is easy to make, super nutritious, and will help prevent and ease the symptoms of acid reflux. Best results if you drink it in the mornings on an empty stomach. Great for kids and adults. 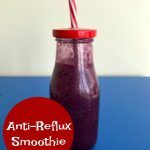 I make this Anti-Reflux Energizing & Healing Morning Smoothie for my 6 year old son almost every morning. I just use different fruits, and sometimes add a combination of fruits and veggies. My son was born with a rare birth defect in his esophagus called Esophageal Atresia. You can read our story HERE. 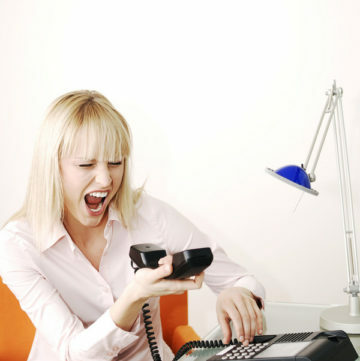 A big percentage of EA survivors battle constantly with reflux. I was told by the specialist that my son would need to take reflux meds for life! Well, he has been meds free since he was 2.5 years old! I am a huge believer in natural medicine. When I started giving my son natural remedies for reflux, they really worked! Aloe vera, ginger, probiotics , and coconut oil , are my favorite remedies. I posted a while ago the properties and benefits of these remedies in my 5 Natural Remedies For Acid Reflux article. You can learn in full detail how each one helps. 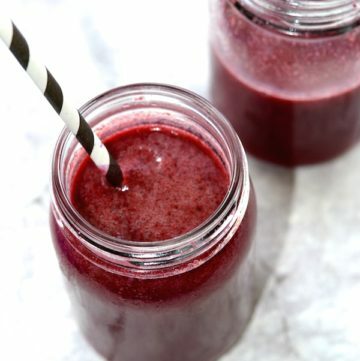 This Anti-Reflux Energizing & Healing Morning Smoothie recipe takes only 5 minutes to make, and will bring lots of health benefits. Papaya, pineapple, apples, bananas, spinach, kale, and cucumbers are also great ingredients for this type of smoothie. I highly recommend a good high speed blender like the one I use, the Vitamix Professional . It is really the best investment I ever made. I use it every single day! I also like to buy Harmless coconut water because it is the purest one on the market. It is really the next best thing to drinking from a coconut. Many studies suggest that coconut water helps with digestion and reflux. Please take into consideration that every case is unique, and the severity of reflux varies. 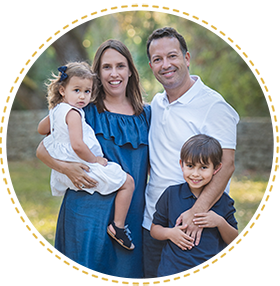 I am sharing my experience with the natural remedies, and how they keep my son reflux free. He suffered from severe reflux the first 2.5 years of his life. Even though he no longer shows signs of reflux, we still monitor his development closely, and see the gastroenterologist once a year. Taking medications is sometimes necessary, but if you can find natural ways, then you can avoid the long-term side effects. There is some trial and error when using natural remedies to find what works best to treat your acid reflux, but in the long run, it’s well worth it. A delicious morning smoothie that protects the esophagus and gives lots of energy. 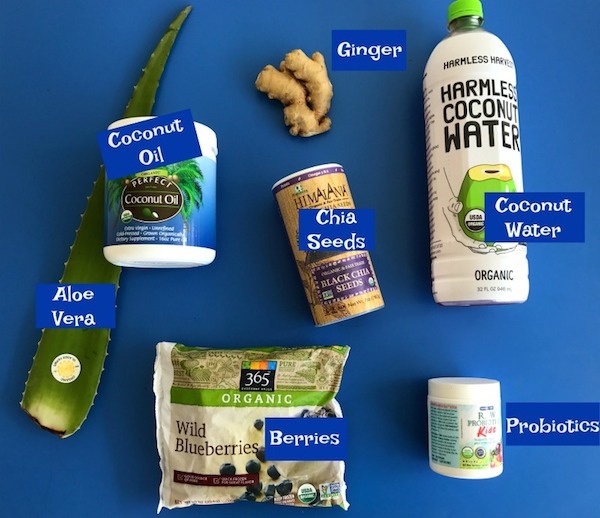 Natural anti-reflux recipe for kids and adults. 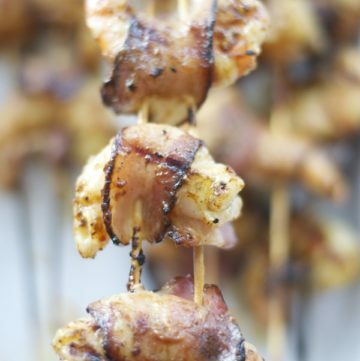 Gluten free, vegan, healthy recipe. Blend everything in a high speed blender and drink right away.